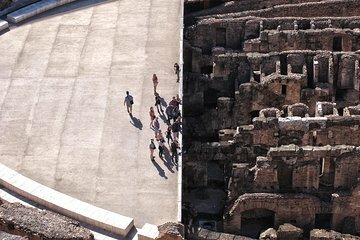 Recorrido de 4 horas por las misteriosas cámaras subterráneas del Coliseo. Ver donde gladiadores y animales salvajes preparados para la acción. Tour en grupo reducido limitado a 12 personas. En este tour de grupos pequeños, aléjese de las multitudes hacia las cámaras subterráneas y un "ascensor" recién recreado. We only booked one guided tour on our recent two-week trip to Italy, and it was this one. 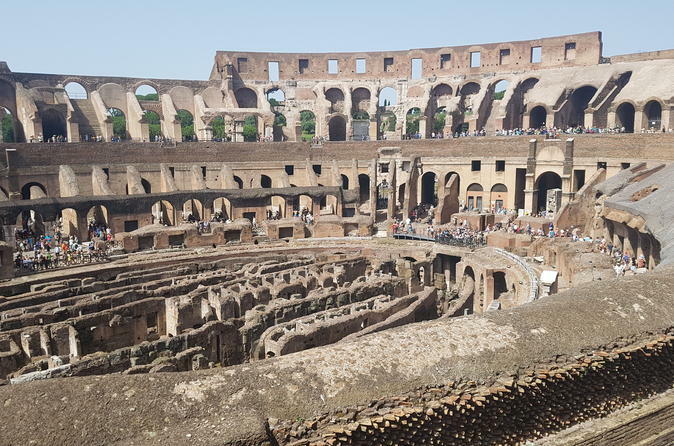 Our goal was to have access tot he Colosseum Underground, but we got so much more from the tour than just that. Our guide, Francesca, was engaged the entire four hours with the group as we explored the Forum and Colosseum. She answered questions and kept everyone's interest going, without letting anybody monopolize the group's time or her focus. She brought an excellent perspective and her passion for the subject matter was on obvious display. Booking a long tour like this is a costly investment in both time and money -- but we were very glad we did.